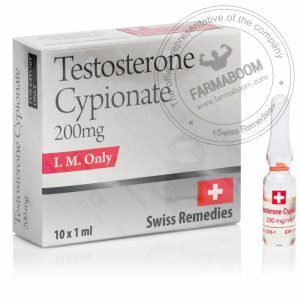 Testosterone cypionate is a slow-acting injectable ester of the primary male androgen testosterone. Testosterone also the principle anabolic hormone in men, and is the basis of comparison by which all other anabolic/androgenic steroids are judged. 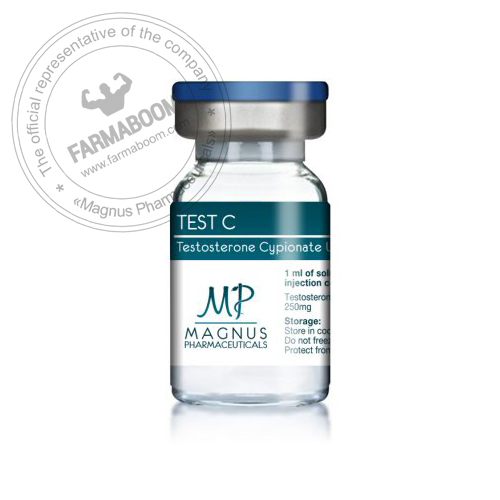 As with all testosterone injectables, testosterone cypionate is highly favored by athletes for its ability to promote strong increases in muscle mass and strength. Although active in the body for a longer time, testosterone cypionate is usually injected on a weekly basis for physique- or performance-enhancingpurposes. The usual dosage is in the range of 200-600 mg per week, taken in cycles 6 to 12 weeks in length.This level is sufficient for most users to notice exceptional gains in muscle size and strength.